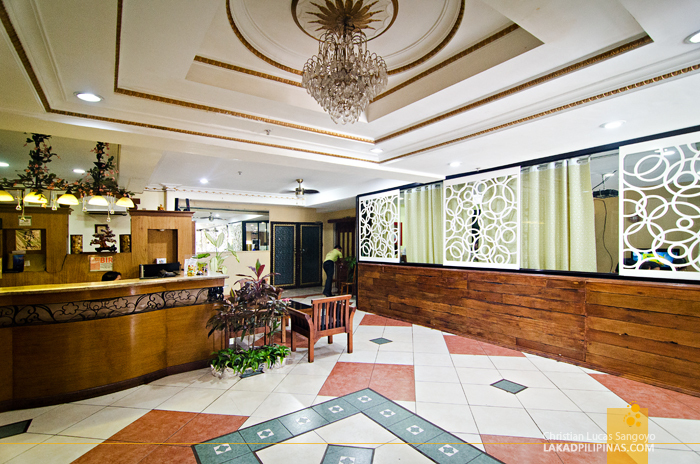 With an amused grin, we walked towards our twin room at Plaza Maria Luisa Suites Inn. 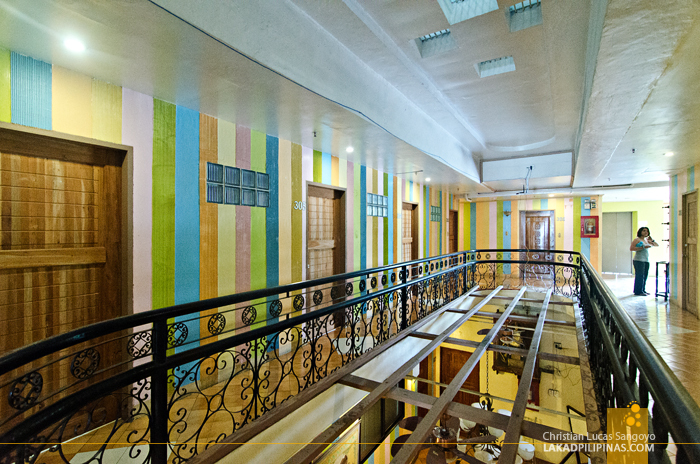 The corridors was very colorful, like rainbow colorful, it wasn’t what we were expecting when we saw the facade of the hotel. I asked my buddy, do you think Jolina Magdangal owns this hotel? Lol. 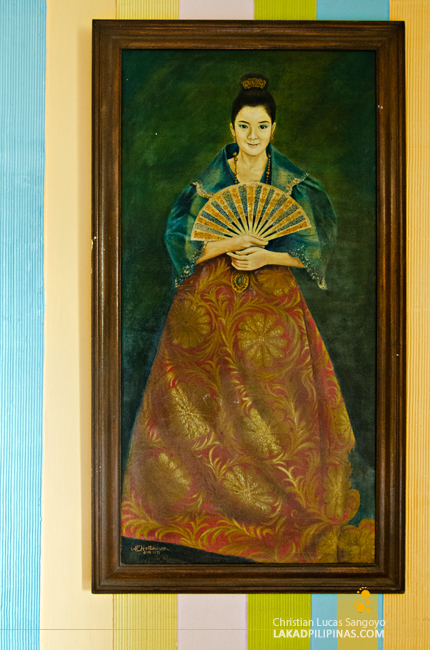 Finally, after knocking around several hotels in Dumaguete, including the one I stayed at before, Hotel Nicanor, we finally found a vacant room at Plaza Maria. Apparently, there’s an ongoing event at Silliman University and almost all of the lodging in the city is fully booked. We were lucky we found a hotel at all. 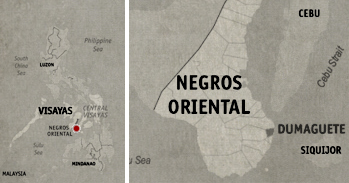 Remind us to book ahead next time we tour Siquijor again. 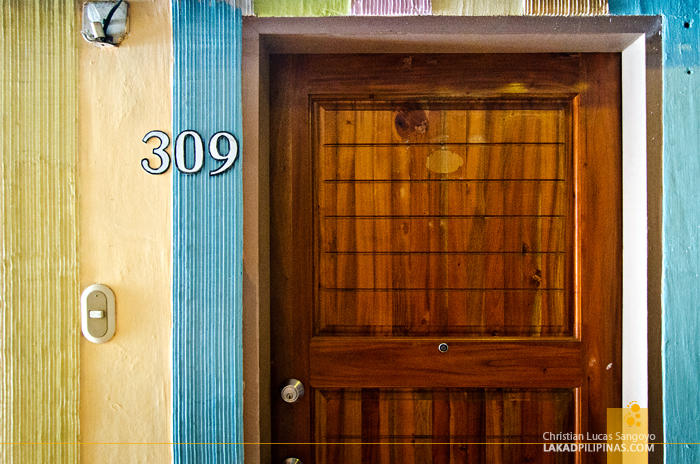 Even with its glass-paneled exterior, Plaza Maria Luisa Suites Inn looks old. Our hunch proved correct as we entered its lobby, which even though is quite presentable, looked like it was designed during the 80’s. Well, we really didn’t mind, just as long as we have a decent room to stay for the night. We weren’t really surprised then when we opened the door to our room. Within its mottled mustard yellow walls were two beds, and err, not much else. There’s a foldable table on one corner and an open closet for our bags and what-nots. To be fair, they have cable television, which quizzically, is placed on the sides of the bed and not in front. 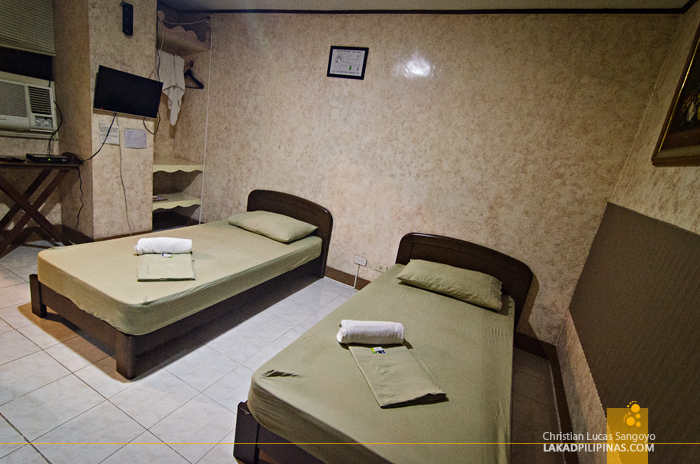 And yes, they have free wi-fi and air-conditioning too. The room has an en suite toilet and bath, which isn’t that bad. It is clean and the fixtures are working as they were meant to. 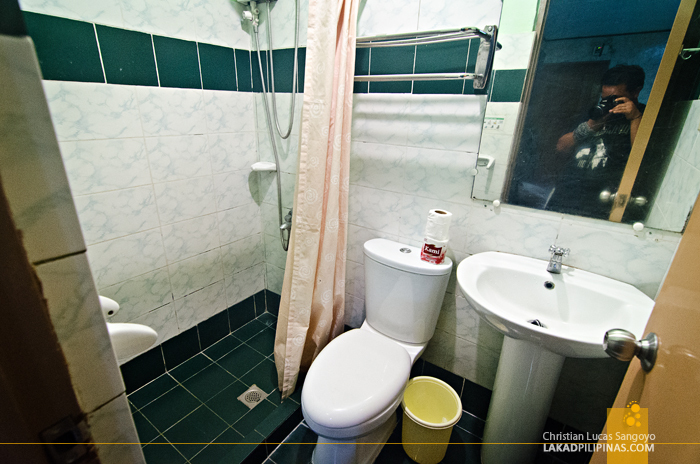 For its price [CHECK RATES & AVAILABILITY], we were surprised they provide towels and toiletries at all. As expected, there was no free breakfast included with our room. This really wasn’t a problem at all since food in Dumaguete City is quite affordable. Plus, we’re rarin’ to go back to Qu4dros Grill for their BellyChon. 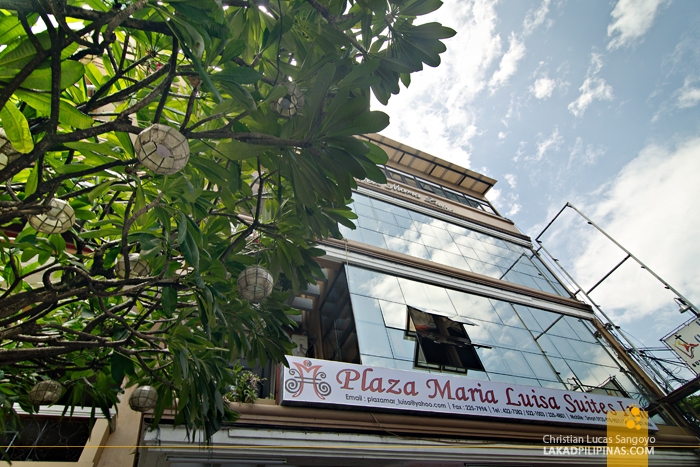 The thing I liked about Plaza Maria Luisa Suites Inn is its location. It fronts the Quezon Park, which is very near Dumaguete Cathedral with its famous belfry, the local marketplace where they sell budbud kabog and the Dumaguete Rizal Boulevard, the most happening place in the city. 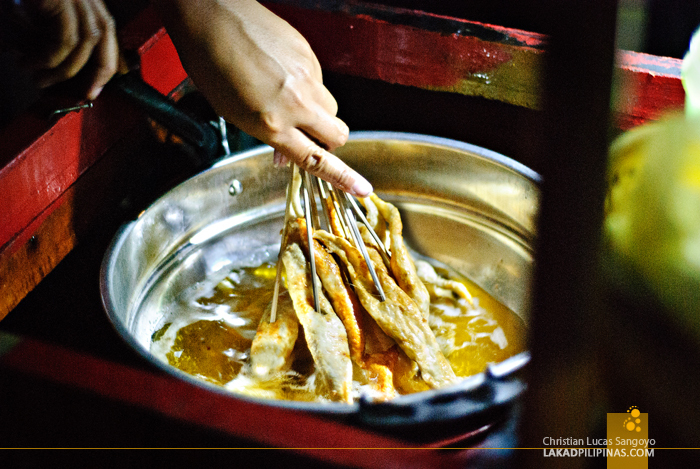 Speaking of which, we’d better head on over to the boulevard while the night is young, we wanted a few sticks of tempura before drinking the night away!